Victoria Merrell PA-C, MPT is a physician assistant at Kaplan Maclean Rheumatology with over 20 years of experience in rheumatology. She currently specializes in the care of patients with diseases including rheumatoid arthritis, psoriatic arthritis, ankylosing spondylitis, reactive arthritis, giant cell arteritis/polymyalgia rheumatica, osteoporosis, osteoarthritis, gout and connective diseases including lupus, Sjogrens, and inflammatory myositis. Victoria acquired her initial experience in rheumatology as a physical therapist. 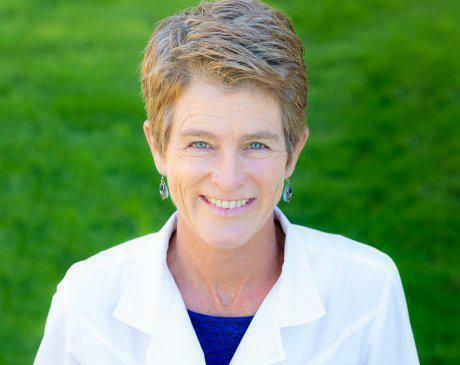 She was responsible for establishing a multi- disciplinary arthritis program at Idaho Elks Rehabilitation Hospital in Boise, Idaho and then built her own physical therapy clinic specializing in rheumatology called Joint Efforts. With the aspiration to provide more comprehensive care for patients with rheumatic disease, Victoria went back to school to become a physician assistant specializing in rheumatology. Upon graduating, Victoria worked for 2 years at Intermountain Orthopedics in Boise, Idaho and then for the next 9 years in private practice with Roy Kaplan MD. Victoria received her physician assistant training at the University of Washington MEDEX. She earned a Master’s degree in physical therapy at the University of Southern California and obtained her bachelor’s degree at the University of California Berkeley. Ms. Merrell has been awarded the Clinical Masters Award by the Association of Rheumatology of Rheumatology Health Professionals and has served on multiple committees including the Government Affairs Committee and RheumPAC, primarily advocating for patients in Washington DC on issues and legislation specific to rheumatology. Victoria’s primary goal in her work is to make a difference in the lives of her patients every day and to enhance their quality of life. In her free time, Victoria enjoys running, surfing, swimming, backpacking, skiing and spending time with her son and partner.